The review Etihad Airways, the Abu Dhabi-based ME3 carrier, is currently undergoing brought a wind of change to its fleet. Just within last month the Gulf carrier decided to phase out at least 20 aircraft according to media reports. 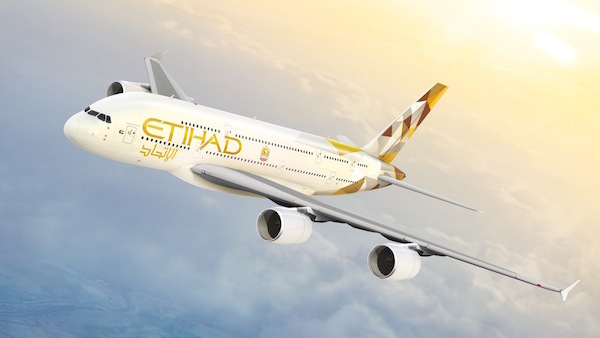 On February 4, 2018, Reuters reported that Etihad is planning to ground – and perhaps sell – five of its Boeing 777-200 LR aircraft. The planes are believed to be no longer needed as they were used on flights to the United States on routes that are being reduced. A week earlier, on January 29, 2018, European Aviation announced an agreement to purchase ten Etihad’s A340 aircraft: seven A340-600 and three A340-500. According to a statement by the company, the aircraft are going to be delivered “over the next few months”. On January 24, 2018, it was also reported that Etihad chose to dispose of five Airbus cargo aircraft. According to Reuters, five A330 freighters were grounded with the intention to sell or lease them, as the carrier opted for an all-Boeing freighter fleet. In its February 2017 report, Etihad disclosed a fleet of 122 passenger and cargo aircraft and 175 deliveries foreseen between 2017 and 2025. However, the carrier is known to be undergoing a review launched in 2016, which includes a new fleet and network plan. As it became known in July, 2017, the year 2016 marked a significant financial loss of $1.87 billion and the first time the airline actually reported a loss since becoming profitable in 2011. Also in 2017, Etihad said goodbye to its long-term chief executive James Hogan, who was famous for bold strategy of attracting traffic to Abu Dhabi hub by buying minority stakes in often troubled foreign airlines. Two of these airlines – Alitalia and Air Berlin – filed for administration in 2017. Hogan’s strategy was rumored to be the reason for his leave and partially blamed for the carrier’s financial losses, as it saw an $808 million charge on certain assets and financial exposures to equity partners in 2017. Some sceptics have even recently suggested a merger with Emirates as the “most logical” solution to the gulf carrier’s financial and strategic “woes” attributed to unsuccessful past investments.